Fall flavors any day of the year. 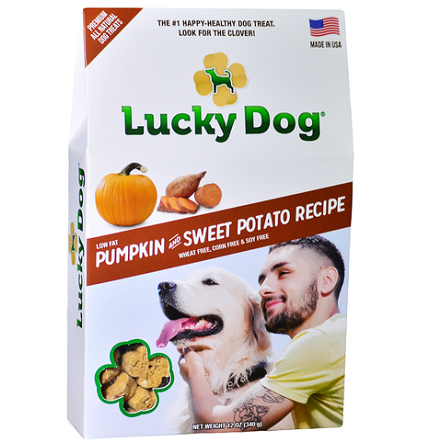 Lucky Dog® Low-Fat Sweet Potato Pumpkin Treats are packed with fiber-rich pumpkin, fiber-rich flaxseed, nutrient-rich applesauce, and flavor-enhancing sweet potato. Serve them as a snack, reward, or just to make a tail wag.